Here at the Express Tempe office, we help Job Seekers find quality work and help businesses find qualified employees. We have been serving the Maricopa County areas since the spring of 1994 and are proud to have been a part of this community for over 20 years! As the largest privately-held staffing company in the United States, we're locally owned but globally powered! 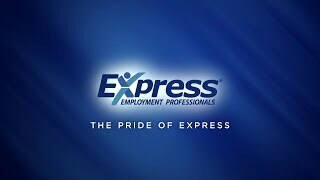 Founded in 1983, Express today employs over 500,000 people across over 800 franchise locations worldwide. Our long-term goal is at the heart of our company's vision, to help as many people as possible find good jobs by helping as many clients as possible find good people. Here at the Tempe, AZ Express office, our goal is to get a least one million people back to work each year. We are constantly looking for fresh, new talent or anyone looking to make a career advancement in the Maricopa County area, including but not limited to Tempe and Chandler. As a reputable employment resource for many of the top businesses in Tempe, Arizona, we pride ourselves on being reliable, responsible, and respectful to all our Employers and Associates. We get to know our Employers and Associates personally, to best understand their personal and professional goals, through our comprehensive strategy. For Employers, we take the time to analyze the industry so that we can understand the varying requirements and skills needed for the highest quality employees. Taking the time to understand these goals allows us to continually deliver quality results. For Associates, we deliver the same kind of results through our four-step process that delves into the skills and competencies of an employee, which we then turn around and match those skills to their desired employment industry with the best job solution for each employee: temporary, short-term, or long-term solutions. Since we are the leading staffing company in the United States, we take pride in offering workforce solutions to Tempe area Employers, including full-time and part-time employees, temporary staff, evaluation-hire staffing, flexible staffing, and short-term or long-term contract staffing over a variety of industries: industrial, commercial, and administrative. We also have a variety of jobs available to our Associates, including full-time, part-time and temporary positions to fit your schedule and employment needs. Express Tempe has invested time and effort and has taken great care to serve the greater Maricopa County area for more than 20 years. Our Tempe, AZ location is a locally owned franchise which allows us to have the backing of a large international corporation, but also give each of you the care and attention you need and deserve.